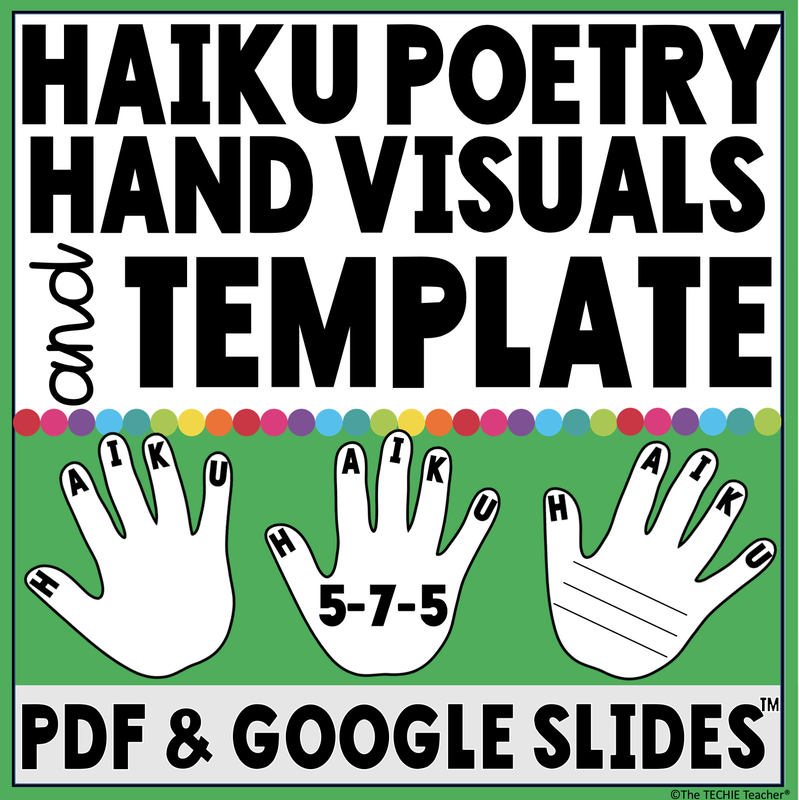 Helpful Ideas for Teaching Haiku Poetry | The Techie Teacher® . When I taught 2nd, 3rd and 5th grade I always liked to kick off my poetry unit in February. 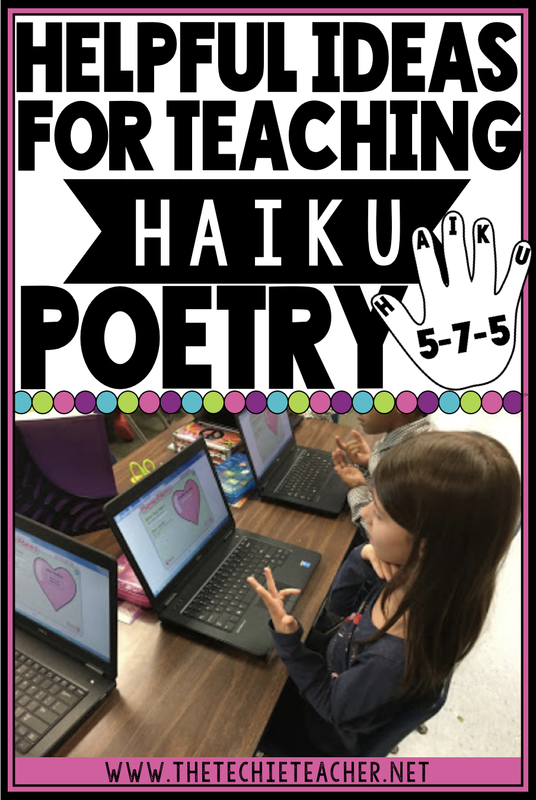 My goal was to have students learn about the various types of poems (haiku, acrostic, cinquain, limerick, free verse, and the list goes on) before Valentine's Day. The day before Valentine's Day they would choose any poetry form and write a Valentine poem for someone in their family. Haiku poetry is my favorite to teach because it is different and challenging! I also think it is a great way to get students to work with syllables. I Haiku You is the perfect quick read for this time of year when you are introducing students to haiku poetry. This simple book made up entirely of haiku poems focuses on love and the smaller joys of life. Click my Amazon affiliate link below if you would like to read more details about this adorable book. It is available in hardcover as well as for the Kindle. I find that students get confused between haiku, cinquain and limerick poems. All three have strange names! 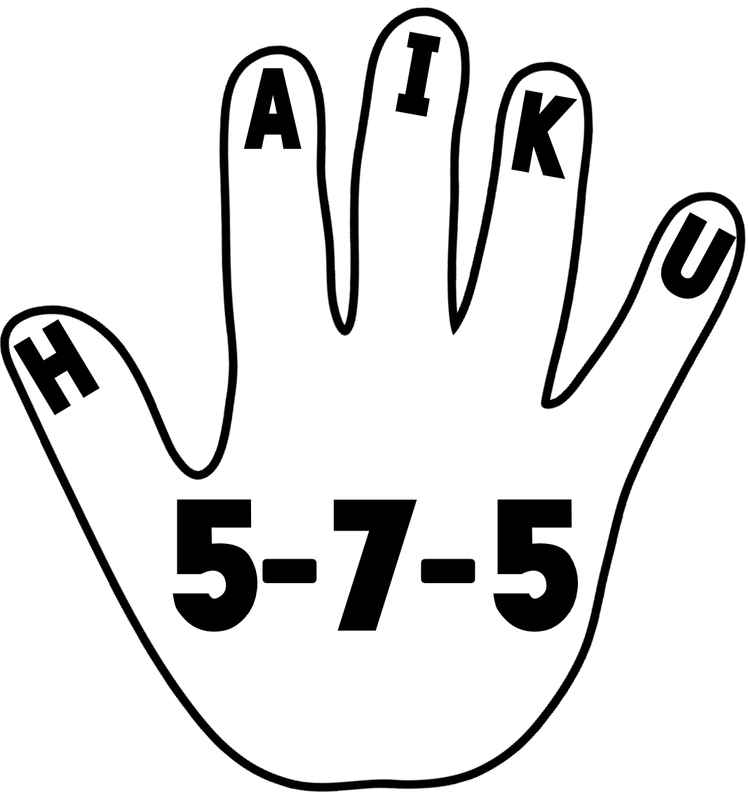 So a little trick I taught them to remember that a haiku poem has three lines and 17 syllables that follow a 5-7-5 syllable structure is to think of a high five. There are 5 letters in the word HAIKU just like five fingers on your hand. The image below serves as a great visual for our learners. Click the resource cover image below to download a free copy that comes with a few other printable pages. 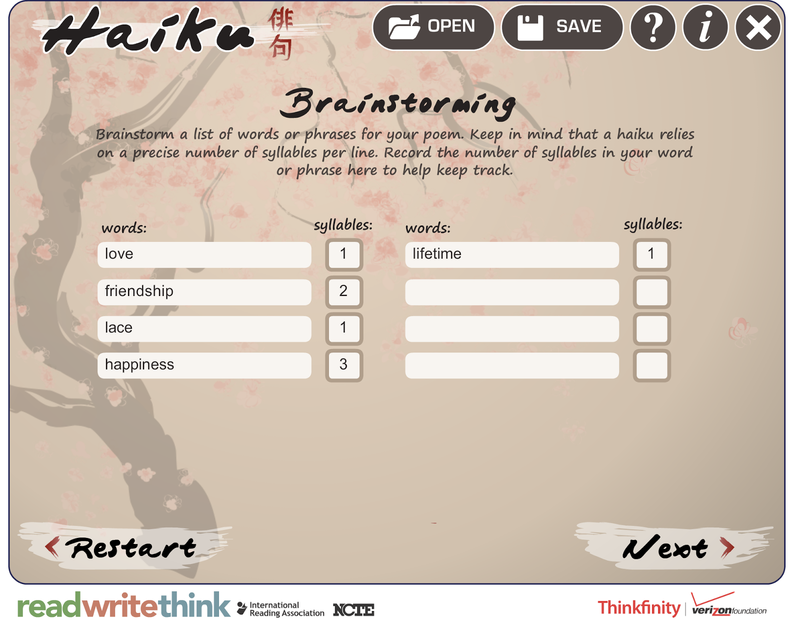 ReadWriteThink has two easy to use web tools that are great for constructing haiku poems. They are both available as iOS apps too! First is the Haiku Poem Generator. When you first launch it, a description of haiku poetry pops up and there is a box for the student to type their name. When students click Start, they are taken to a screen in which they can brainstorm different words for their poem and take time figuring out how many syllables each word contains. I like having them do this before writing their poem because SO much of their time is spent figuring out the number of syllables that it ends up disrupts their writing process. Some teachers I have worked with like to check this screen before allowing the students to continue. When Next is clicked, students are taken to a screen where they type their poem and refer to their words. Then they type in the number of syllables for each of the three rows. Finally students click Next and the poem is generated on a beautiful Japanese inspired background. They can save their poem to their computer or print. 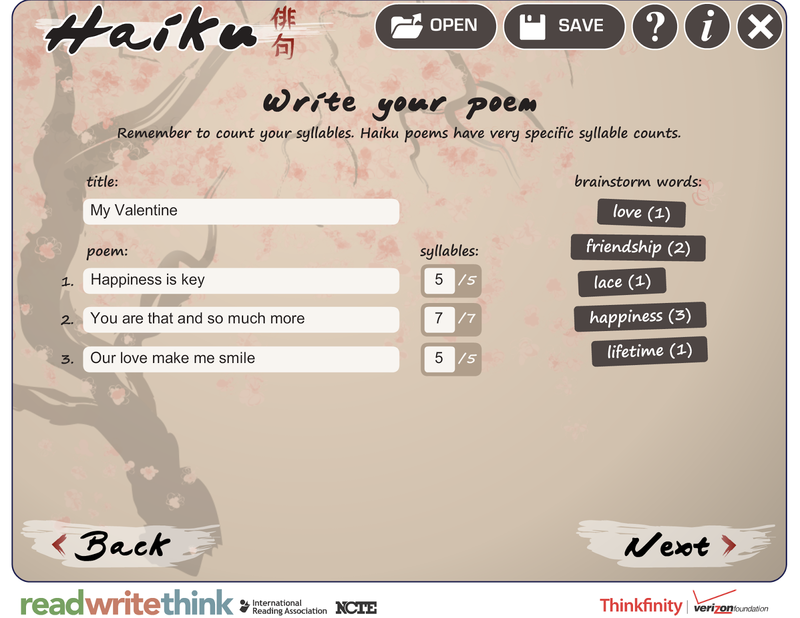 I also like to use Read Write Think's Theme Poem generator to write haiku poems. 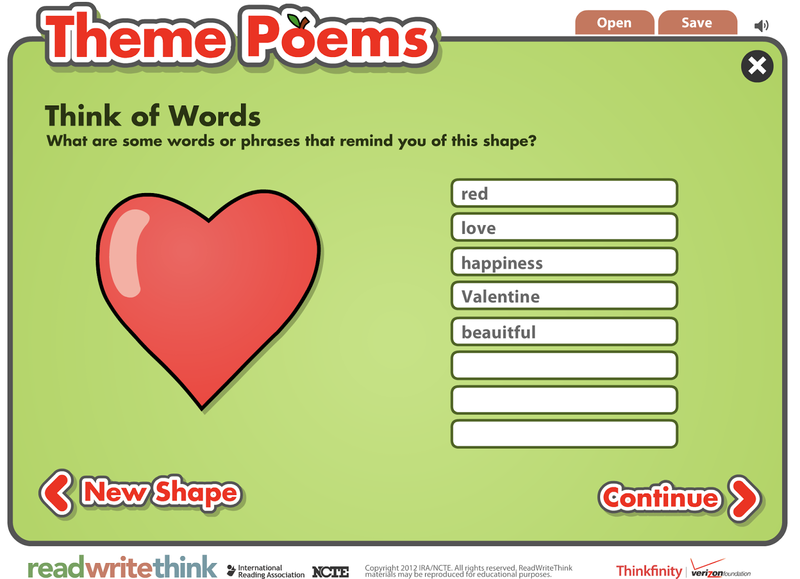 There is a heart shaped poem you can select for Valentine's Day. When students launch the website they are asked to select a theme. To get to the heart shape, they should click on the Celebrations folder. Then click on the heart theme. Next, the student will be prompted to list words or phrases that remind them of a heart shape. This brainstorming is so nice to help students form their ideas! 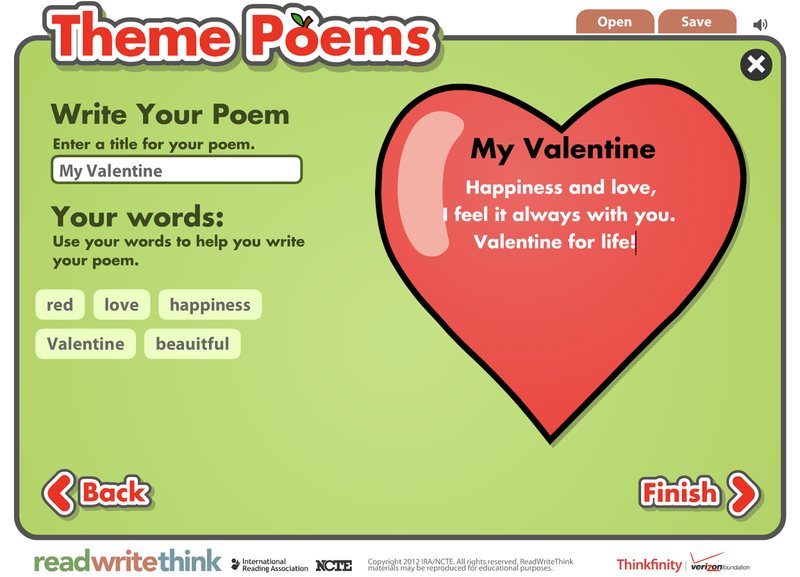 The next screen has students title and write a poem about any topic of their choice. The words that were listed on the previous screen show up to help with the writing of the poem. This is so nice for students that have a hard time thinking about what to write! Finally, your poem turns into a PDF that you can print or save to your computer. Saving Option: I love how Read, Write, Think provides a saving option even though it is a web tool that you don't have to sign into. If students have to stop in the middle of their writing for some reason, have them click Save and a .rwt file will download to their computer. 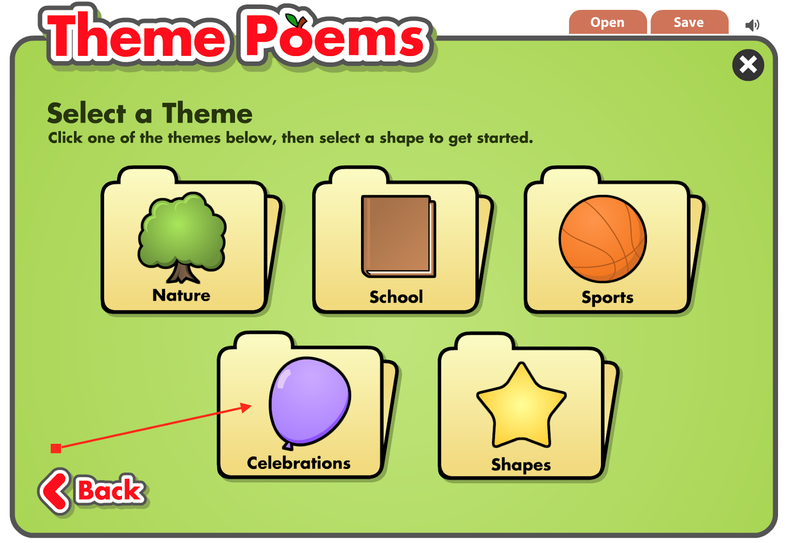 When they are ready to return, students will click Open at the top of the theme poem main screen and import that .rwt file. Fills my heart with happiness.